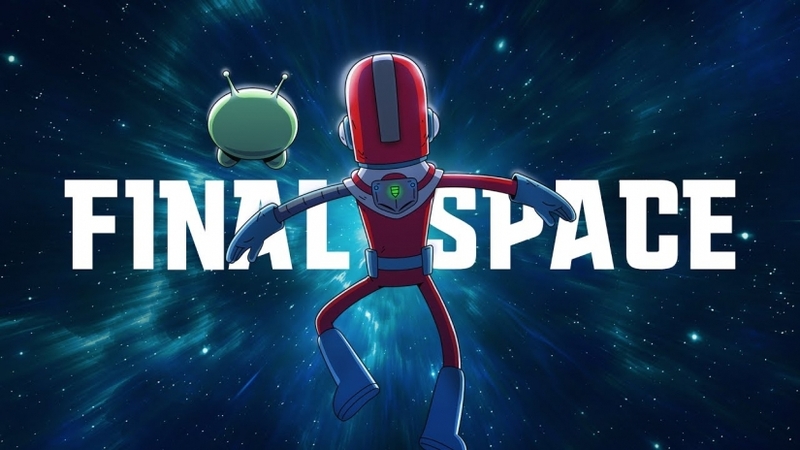 Adam goes a bit spoiler-y (hence why the post-Airing release) with his discussion of Episode 6 of TBS’ animated sci-fi adventure series Final Space. This review has been written and rewritten a few times as I was at a lost for words to accurate discuss the Mid-Season finale. Rather than posting before the air date, I’ve sided on posting after to discuss this with more spoilers. Olan Rogers and his talented crew of animators, writers, et. al. have upped the stakes for not only the characters but for themselves. They’ve created an emotional ending that leaves things in a terrible place for our characters but perfectly in dramatic terms. Again, just this will discuss spoilers in the show up until this point. I would hate for anyone that has not seen the show to read this and spoil it. Non-Spoiler review: It was emotional. It was well written. It amazingly keeps upping the ante with its storytelling moving away from the more comedic elements to the more dramatic with spiking of comedy. I will say this much. The writers of Final Space by killing off Avocato (voiced by the great Coty Galloway) are making a bold statement. By taking away the traditional badass or rogue of the piece they’re breaking the mold. Few shows, if any, would be as bold as to kill off a beloved character this early on. Avocato is the cool character that everyone latches onto. He is Han Solo, Bobba Fett, Indiana Jones, Yojimbo, Batman, or any other number of variations on the Steve McQueen too cool to die mold. The killing of the character isn’t just a story beat for shock value. It illustrates that The Lord Commander isn’t just another in the long line of ineffectual vaguely magical Space Fascists bent on ruling the world. The Lord Commander is a creditable threat with the ability to do harm. We have seen that with Avocato. He may not be the first causality of the series but he is the first that hits on an emotional level. In an age of shock value deaths that in the grand scheme don’t mean anything (I’m looking at you Walking Dead) it’s almost disbelief when something like this happens. It does matter and it has ramification on the entire story moving forward. The episode and this decision only reinforces Final Space is great television that is making bold decisions.